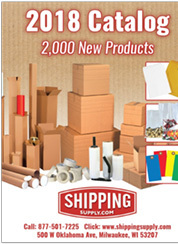 ShippingSupply.com carries a wide selection of tags to meet your various needs. All of our shipping tags are available in a large variety of standard sizes. Invest in colored tags for color coding and easy item identification. Browse inventory tags, inspection tags…we have it all! These versatile tags are easy to attach. Shop tags without strings or wires, or save time and effort by buying tags with string or wire already attached. If you have questions about tags or any of our other 5000+ shipping supplies, please email us or give us a call at 1-877-501-PACK (7225).